This video will provide you an overview of Shariah or Islam as a way of life. 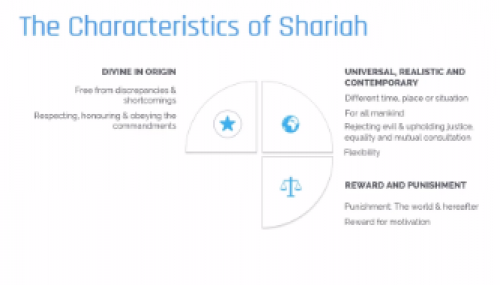 It starts with the definition of Shariah and further elaborates its four main characteristics. This will clarify why Shariah is so unique. Finally, the major components of Shariah are explained. Developed in partnership between IslamicMarkets Learning, International Shari'ah Research Academy for Islamic Finance (ISRA) and industry experts, Introduction to Shariah explores Shariah application in Islamic banking.